I started my time at OBU as a news and information major, and while I loved journalism, I knew that there was a different path I was supposed to take. I knew I could make it as a good writer, but I wasn’t sure if that was something I wanted to make into a lifetime career. Eventually I came to a few conclusions. First, I love people, and second, I believe our most important calling is to share the Gospel and make disciples. After some time and confusion, I decided to change my major to communication studies, because everybody has to communicate anyways right? Initially I was scared, and my shyness held me back from going where I knew God was leading me but looking back I think I made one of the best decisions of my life. 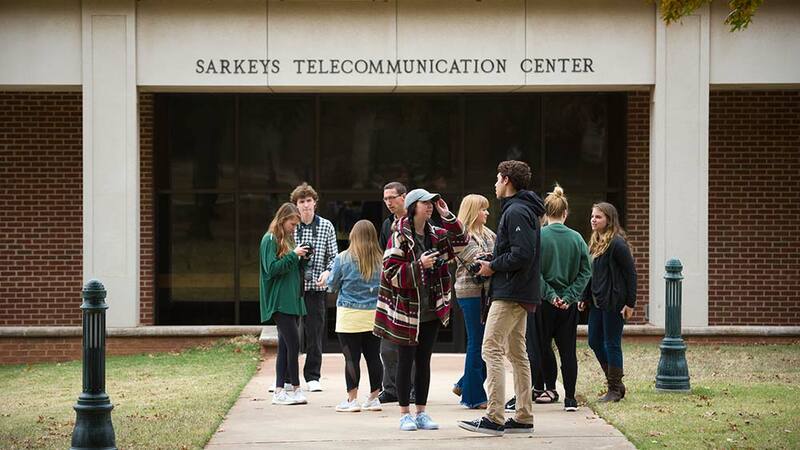 Since joining the Communication Studies department, I’ve been able to experience the best of OBU’s community and I have grown in ways I would have never imagined when I was a freshman. With a department full of amazing people, my love for people has only intensified and I learn more from my peers everyday about how to be a better communicator and friend. The communications professors share their knowledge with us about our studies, but more importantly they speak wisdom and encourage us daily to use our communication to share the Gospel with others. Faith integrated with learning is the foundation of our department and I can count on my professors to not only give me guidance in their classes but lift me up in the midst of a hard semester. The classes I’ve taken have challenged me to think critically and allowed me opportunities to learn practical and essential ways to communicate with my neighbors in many contexts. With courses like Family Communication, Organizational Communication, Intercultural Communication and Communication and Conflict, I use what I learn after class ends in my own day to day encounters. Whether it was a conflict between friends, conversations with my family or a difficult group project, my studies have come to life through the tools my professors have given me. Being awkwardly shy freshman year, I didn’t have many friends. I had a few great ones, and our friendship is now stronger than ever, but the students I met in our department have changed my experience at OBU. Enduring the hardest class, Communication Research, brought me nine instant friends to study and struggle with, and celebrate when our research was accepted into conferences. It brought me older friends to guide me through the classes and experiences they already had, like undertaking an honors thesis. And it brought me a community of welcoming faces to make the hard days easier and the good days brighter. Communication Studies is everything I loved about journalism and the news, plus the knowledge it takes to communicate with grace and love towards others. Over three years, I’ve had a blast working for The Bison student newspaper and have gained tons of experience writing. I’ve gotten practical experience involving news and communication through public relations classes, and now three internships that let me show off my capabilities. 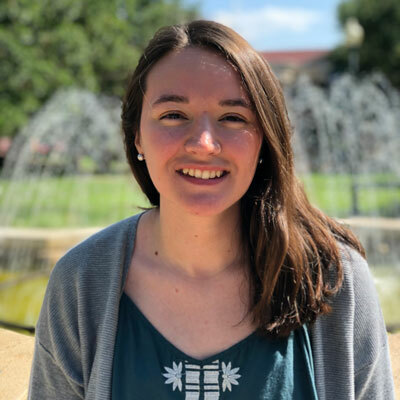 As an upperclassman I’ve been given more responsibility across campus life, and every day my communications experience helps me to become a better leader, whether through public speaking, decision making or just treating others with kindness and grace. But at the end of four years at OBU, I’m most excited to say that my time as a Communication Studies major has given me four years of growth as a communicator sharing the Gospel through loving others, just as God has loved me. Everyday I’m challenged to study and live life through the lenses of communication theory, but I see my textbooks come to life through my peers and professors in the way they spread love and gospel truth. With experiences to last a lifetime, I know that I will be graduating and entering the workforce with the fullest knowledge to serve my community and share the Gospel anywhere.